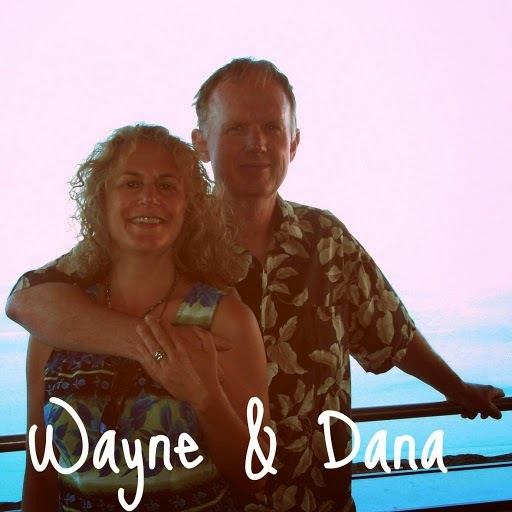 Galley Wench Tales: Oz: Why Did the Emu Cross the Road? Oz: Why Did the Emu Cross the Road? 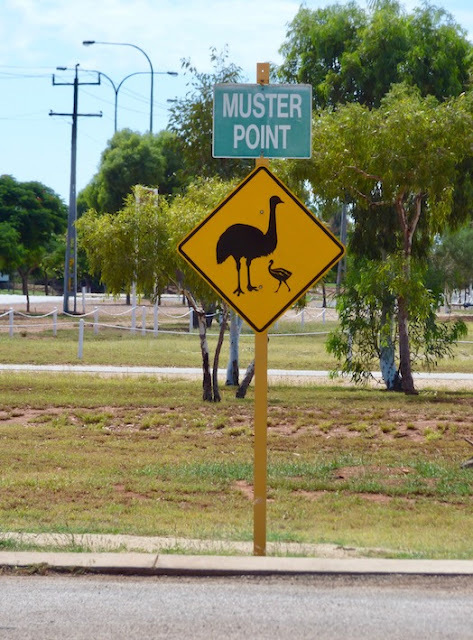 Exmouth (Ningaloo Reef area) Western Australia; where traffic jams may be caused by emus. 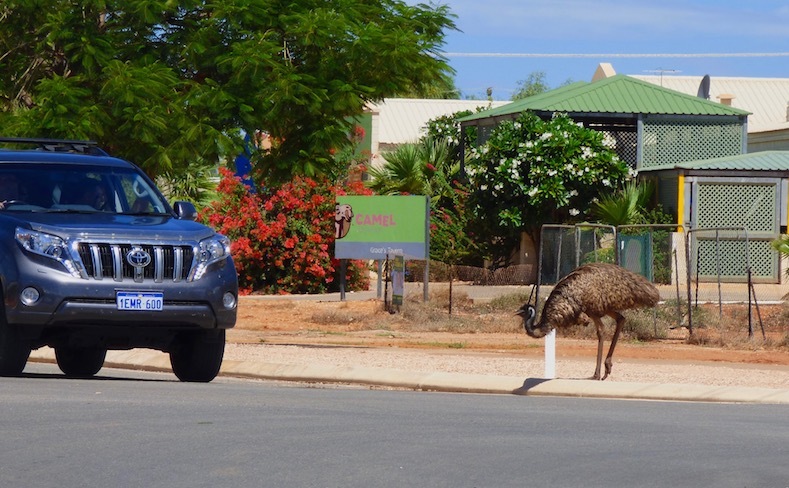 We were amused watching an emu stop traffic with its leisurely stroll across Exmouth’s main drag. Eventually, one of the car drivers got impatient and leaned on their horn. Cars began moving forward and the emu decided it was time to finish its crossing. 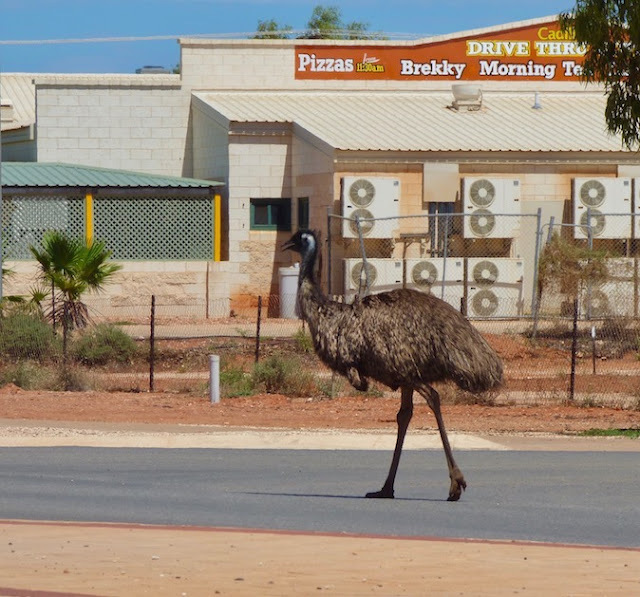 This emu was perfectly happy to take its time as it ambled across the 4-lane highway that traversed Exmouth. Western Australia. The emu headed our way, towards Exmouth’s visitor center. It cut behind the building, though it stopped short of the emu muster sign. There was a plumber working on an outdoor water main, and water bubbled up from one of his work areas. The emu decided it made an excellent watering hole, and drank deeply. Ahhh! 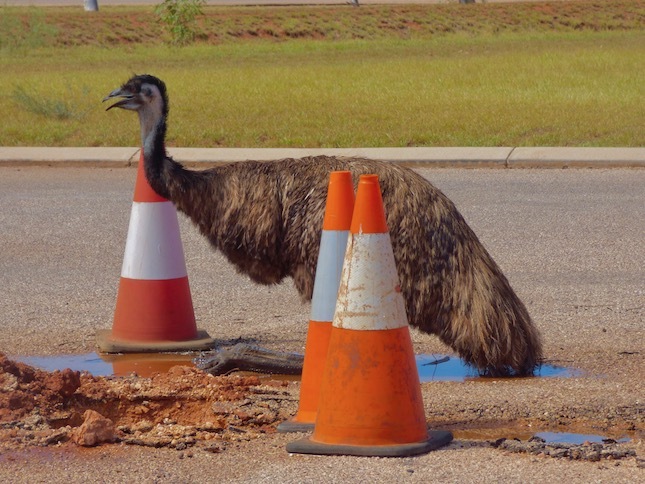 This emu at last found its drinking hole in Exmouth. We filled up ourselves at the potable water station in the same parking lot as there are few places it's available when you're in the bush. Western Australia. Australia is a parched country. The emu crossed the road ... for water! in the same Exmouth Visitor Center parking lot. Western Australia. We passed through Exmouth between March 31st and April 2nd, 2017, on our way into Cape Range National Park, and saw the emu on our way in. 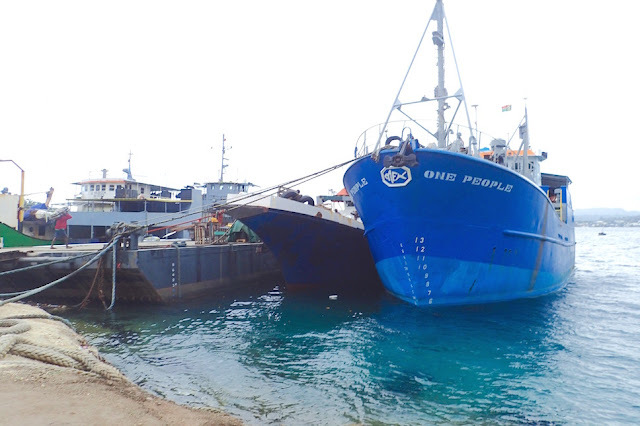 This post which was written in Port Hedland. We expect to arrive in Broome in 2 days. After that, we'll continue on our clockwise tour of Australia’s ocean of land.We're hoping it's not too wet to drive Gibbs River Road, but are sure to enjoy the Kimberleys regardless. Our goal is to complete tour in August. Oz: Broome - Camel Rides & Other "Must-Dos"